Transformed: Bilbao positions itself as the cultural centre of Spain's Northern Atlantic coast – a change that has been recognised by being awarded the Lee Kuan Yew World City Prize for urban transformation. 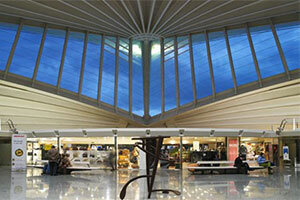 Bilbao also hosted Routes Europe in 2018. 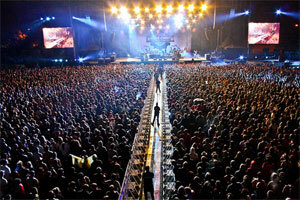 With over 100,000 visitors, Bilbao's nine-day Semana Grande (big week) in August is the city's most important event, and is followed by Bilbao BBK live – an international music festival. 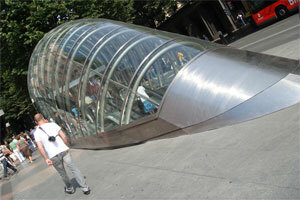 There is great architecture on every street corner including Sir Norman Foster's metro stations. 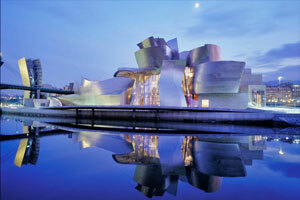 Bilbao is a vigorous service city that is experiencing an ongoing social, economic, and aesthetic revitalization process. 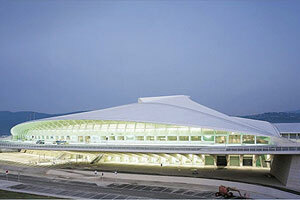 Important tourism attractions, including major architectural works: Frank Gehry’s Guggenheim Museum; Norman Foster’s subway station; and Bilbao Airport by Santiago Calatrava. 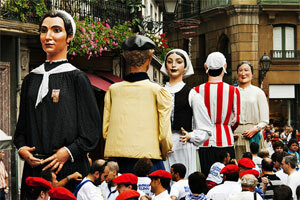 “Semana Grande” is Bilbao’s main festival, attracting over 100,000 people. It is in August each year, and lasts for nine days. 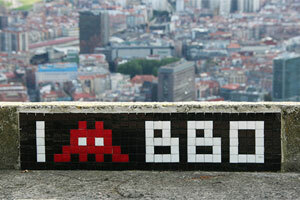 The celebrations include free music performances, street entertainment and nightly fireworks displays. Nouvelle Basque cuisine, radically original in its form, but solidly Basque in substance. Many tapas bars, serve a modern-style of the typical snack of the Basque Country ‘pintxos’. High-yield catchment area. 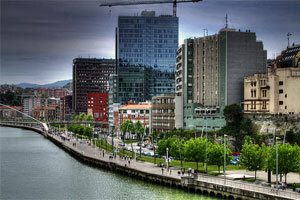 Bilbao is the major airport in its catchment area. 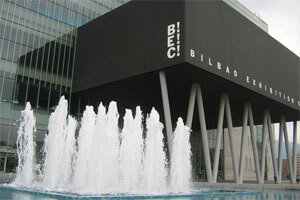 Bilbao is keen on developing its intra-European route network, especially connections to Scandinavia. 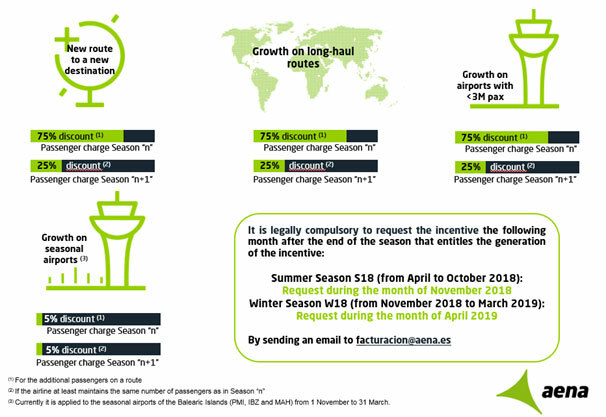 In S18, new routes have included services launched by LEVEL (Vienna), Vueling (Paris CDG), and Volotea (Palermo). 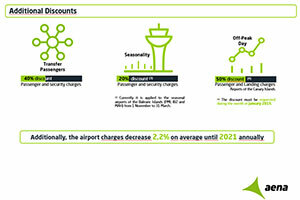 Airport charges decrease on average by 2.2% annually until 2021. The map shows the population within a two-hour drive from Bilbao Airport (the red square) and the nearest airports in the area (Santander Airport, Burgos airport, Vitoria Airport, Logroño Airport, Pamplona Airport and San Sebastian Airport). 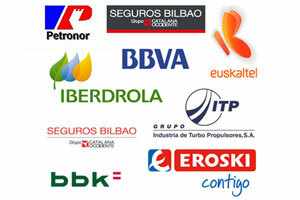 The economic centre of the Basque Country, Bilbao is home to many businesses, such as multinationals Iberdrola and Gamesa. 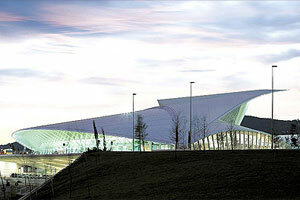 The city's exhibition centre also hosts the largest multipurpose hall in Spain with a capacity of up to 26,000. 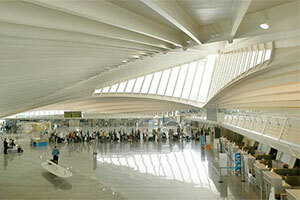 Santiago Calatrava's 32,000m2 terminal – La Paloma ('the dove') was renovated during 2011; further extension doubled capacity to eight million in 2016. 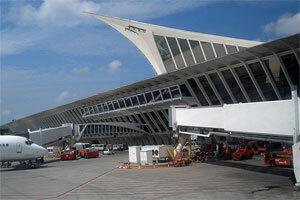 Bilbao Airport is located 12 kilometres from the capital of the Vizcaya province, in the city limits of Loiu. 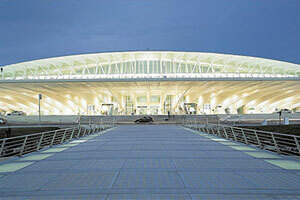 Access to the airport is via the national motorway N-637, which is the Bilbao ring road that links the airport to the national motorway A8. Bizkaibus Línea 3247 Bilbao – Airport. 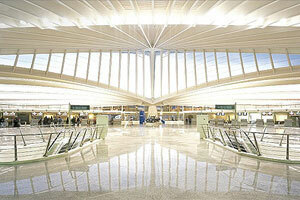 Airport – Zarautz – San Sebastian. 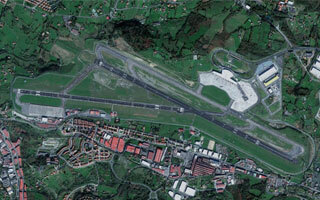 Airport – Eibar – Bergara – Arrasate. 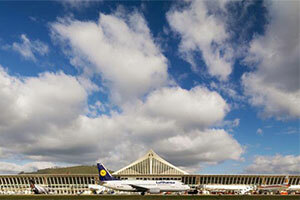 Runways: Two runways (1,910m and 2,600m). 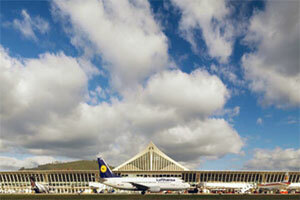 Operating hours: Summer: 04:45-21:30; Winter: 05:45-22:30. 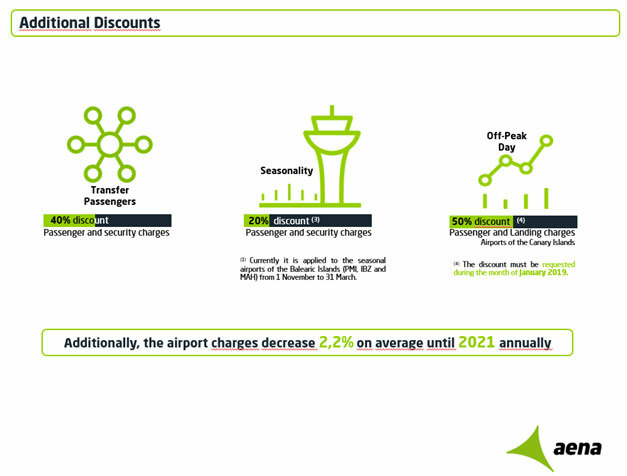 Passengers: 2.8m domestic passengers; 2.1m international passengers. 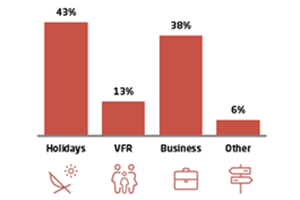 Air Transport Movements: 99% scheduled flights; 1% charter flights. 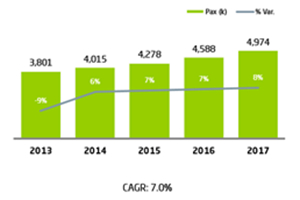 Largest carriers (top five): Vueling, Lufthansa, Iberia, Air Europa and easyJet.